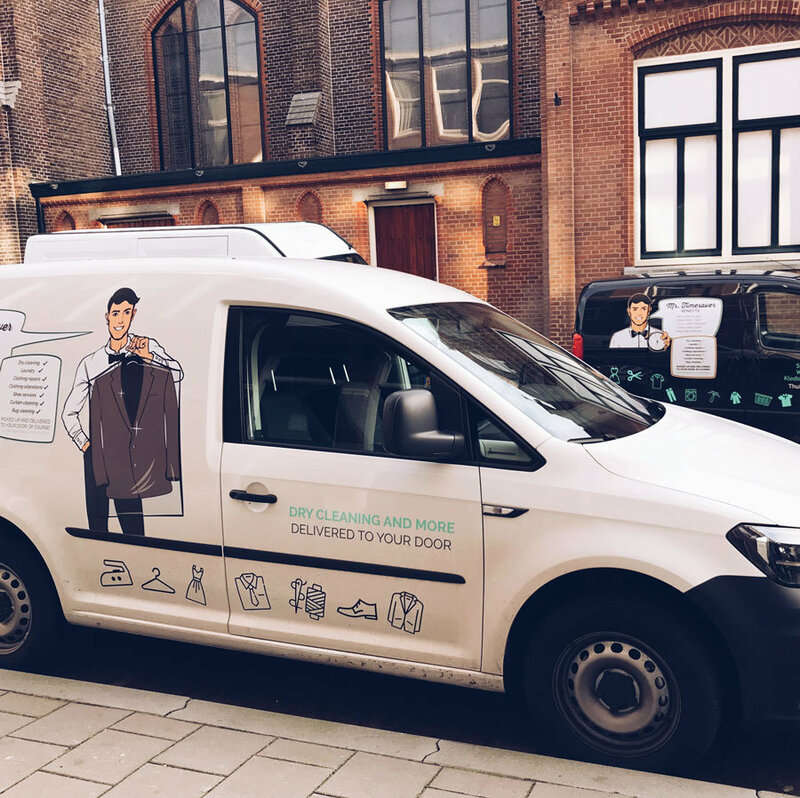 There are many benefits to using a dry cleaning delivery service as you have read in one of our previous blogs, but why should you use Mr. Timesaver instead of other delivery services? Well, there’s no other like us. Check out the next points to find out more about why we’re the better choice for you. There are some other companies out there that provide similar services to ours. But the difference is that they only handle the order and pass it through to dry cleaning & laundry facilities. In those cases, the dry cleaners are the ones responsible for picking up, cleaning and delivering your items back to you. You have no idea who they are and if they’ll handle your clothes with the care needed. 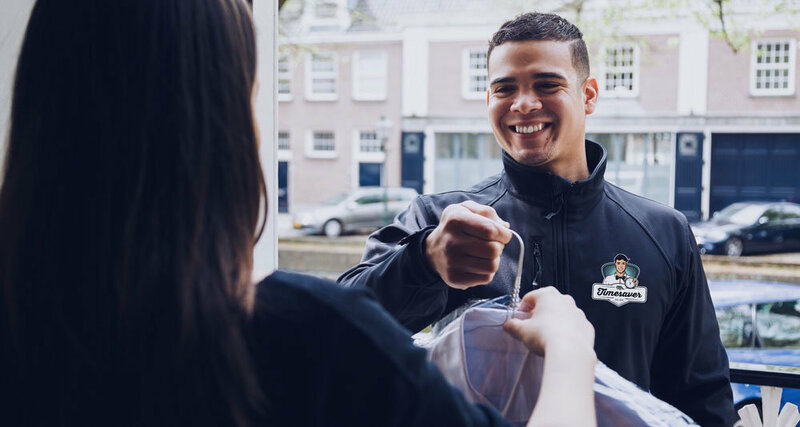 In other cases, your items are picked up and delivered by couriers employed by a completely different company. Who is liable for your items if they are damaged or lost? 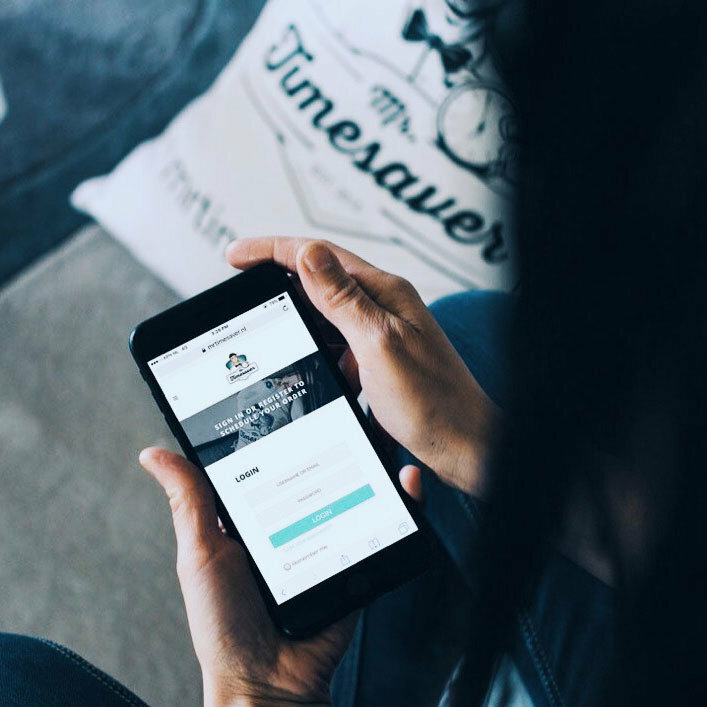 When you order from Mr. Timesaver, a timesaver picks up your items, inspects them, takes them to the appropriate partners, picks them back up from the partners and delivers them back to you. No middle man. Less chance of something going wrong, like items going missing, or being damaged. After cleaning or repairs, we store your items in our facilities until they go out for delivery. We’re also the ones taking on the responsibility of your items when they leave your hands. You can rest assured that in those rare cases something does go wrong, you’ll be covered. We’re almost 3 years in now, and we can’t even remember how our service, website and quality was when we first started. So much improvement has happened over this short time. We listen to you and we adapt. We’re constantly working on ways to improve your experience with us. Changes happen often. In a year you might not even remember the process as it is now! No other company can provide the flexibility and convenience we do. 1 hour time-slots from 7 a.m. until midnight, 7 days a week. We have standard next day delivery (with the exception of certain items: curtains, rugs, wedding gowns). We’re even open on Sunday. Need to reschedule, have your items delivered at a different address? No problem! Just call us. Your time is important to us. You tell us when, and we’ll be there! You don’t have to worry about our closing times, and rushing after work. 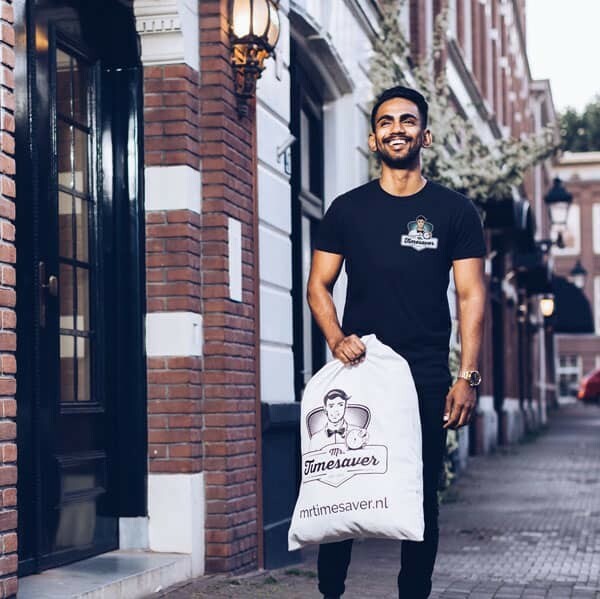 When you order from a different provider, you never know if your items will be treated by tested dry cleaners or cobblers. We test our partners before working with them, thus ensuring high, consistent quality, each and every time. Our partners are experienced and known in The Hague area. They are not the standard “around the corner” stores. They are professionals with names for themselves. Since we pick-up, deliver and handle everything in between, we know exactly where your items are at all times. Your items are marked, cleaned, repaired, and stored for delivery. Your items are also handled seperate from other “walk-in” customers at our partners’ facilities. The chances are, if a timesaver picks-up your items, the same person will probably be the one delivering them back to you. Our timesavers have their own areas to serve. This also means that you see a familiar face everytime you use Mr. Timesaver. A person you can build a rapport with. It’s not uncommon for our timesaver to be hugged by our users’ kids and to be called by name. Our prices don’t differ much from your local dry cleaner. The only big difference is that we offer more benefits for that price. Our prices include pick-up and delivery fees and next day service. Even our weekend and night prices are the same. We also offer loyalty cards. With this loyalty card, you can collect stamps on each order. Loyalty card benefits include: a free bed sheet package service, shoe polish service, and ultimately, 20% off an entire order. You wont get that deal at your local dry cleaner. At the end of the day, our main focus is making your life easier in every way we can. Yes, we care about proper cleaning and repairing of your items, but with Mr. Timesaver, you get more than just clean clothes and polished shoes. You get peace of mind. You get more time to breathe. We work day and night to make your life easier. Here’s a little more about how our service works. The Hague area (Including: Wassenaar, Leidschendam-Voorburg & Voorschoten. ), Leiden, Nootdorp, Delft & Rotterdam. If we’re not operational in your area yet you can still sign up to our newsletter to receive tips and ideas to improve your work-life balance and overall productivity. You will also be notified when our area of operation expands.